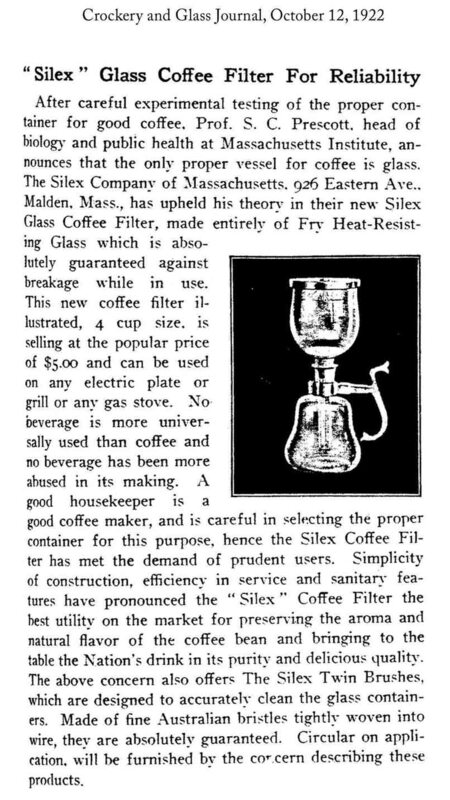 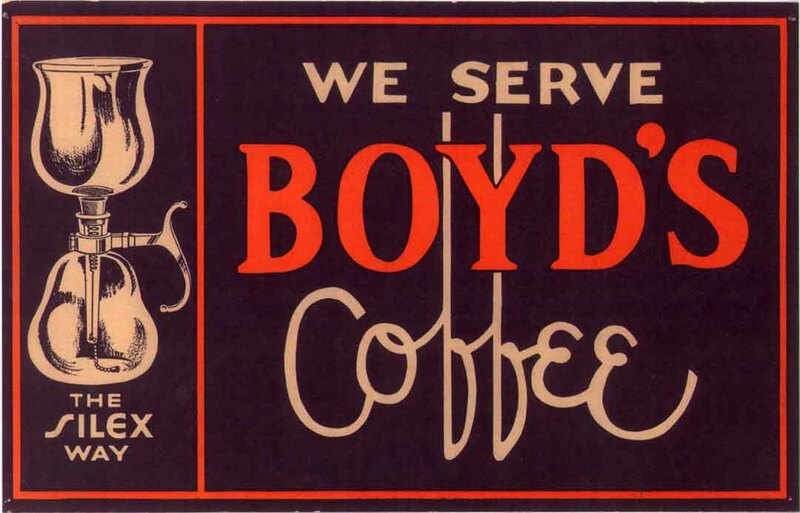 In 1922 Silex approached the H.C. Fry Glass Company asking if they could help produce their "Silex coffee maker." 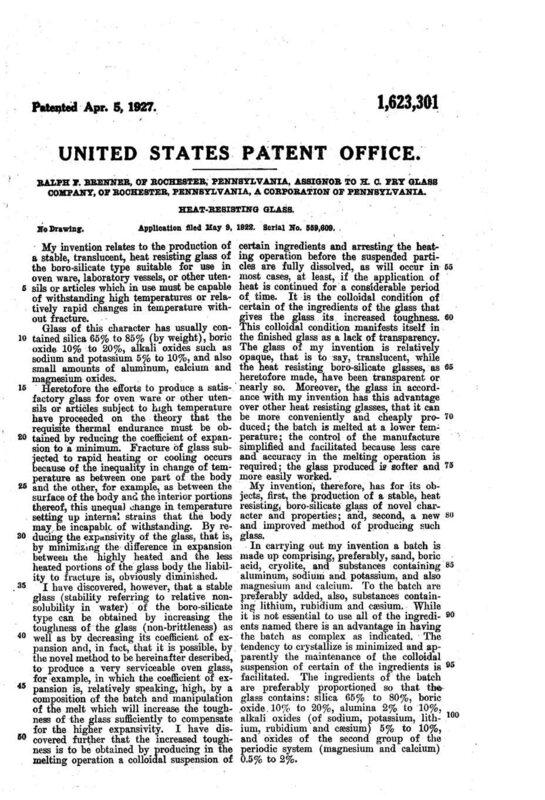 The bottom flask was the company's chemical glass flask. 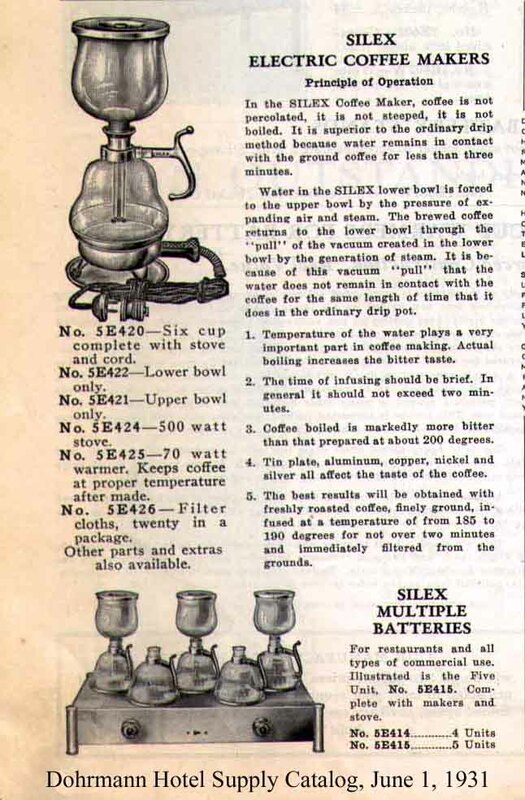 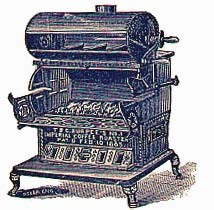 The Fry Silex was the first stovetop coffee maker ushering in the fantastic success of the Silex Company. 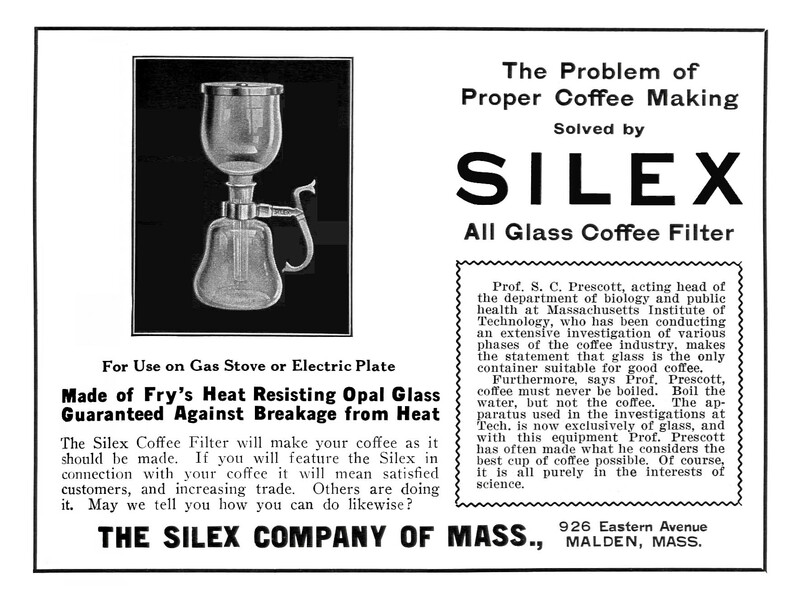 The below pictures show the opalescent Fry Silex of 1922. 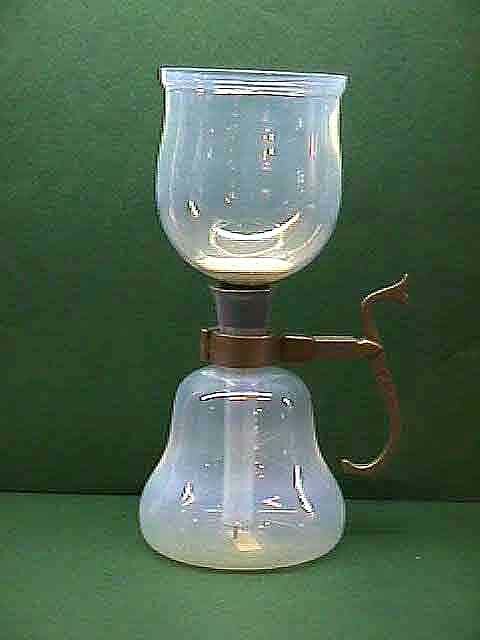 It is believed that Fry made this glass for only a few years. 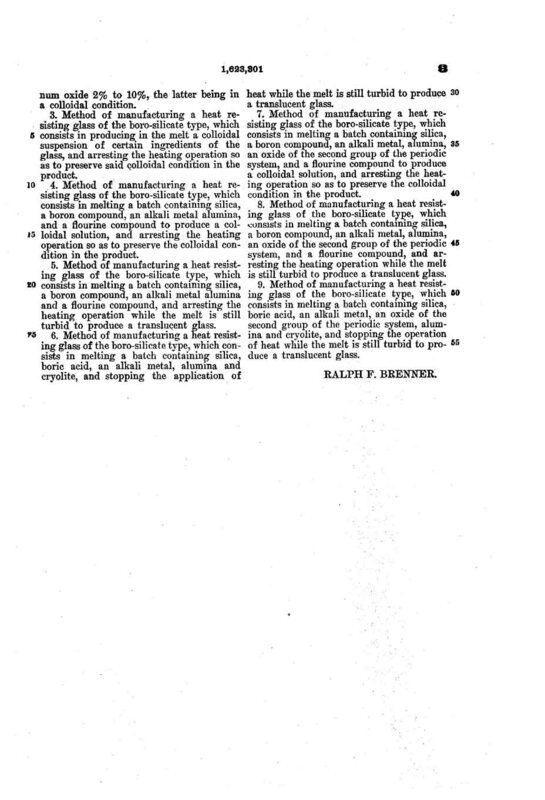 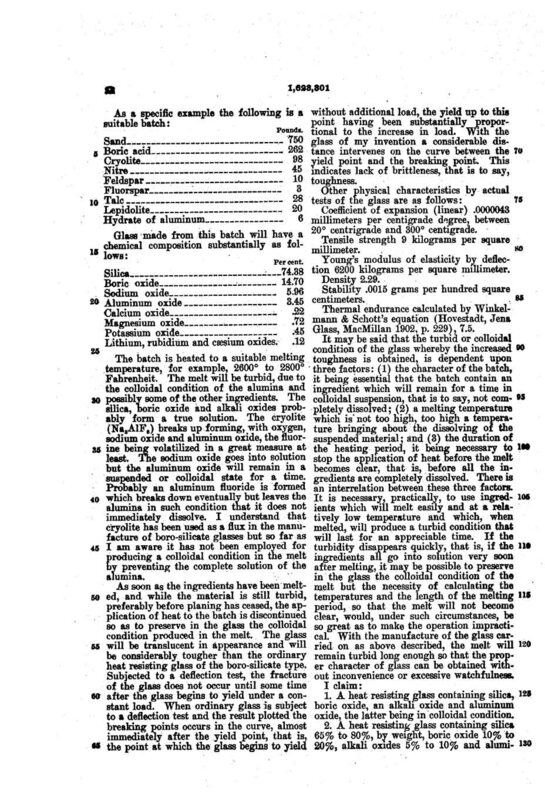 This Patent was applied for in 1922 and granted to the H.C. Fry Glass Company in 1927. 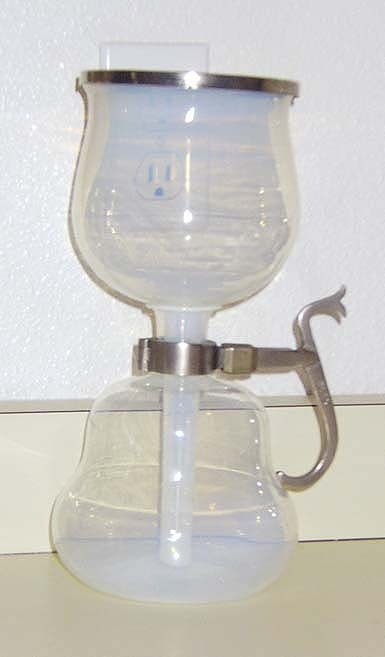 This style of vacuum brewer was used into the early '30s with the majority of the flasks being made out of Pyrex by The Corning Glass Company.